This picture was taken when I was staying at a plantation in Virginia while I was shooting for the Civil War book I was working on. I was out taking pictures of birds when I noticed this snake slithering around in the leaves and moss near a tree. I got a bunch of pictures of it and as I got closer and closer, the snake began to coil back as if it were preparing to strike. 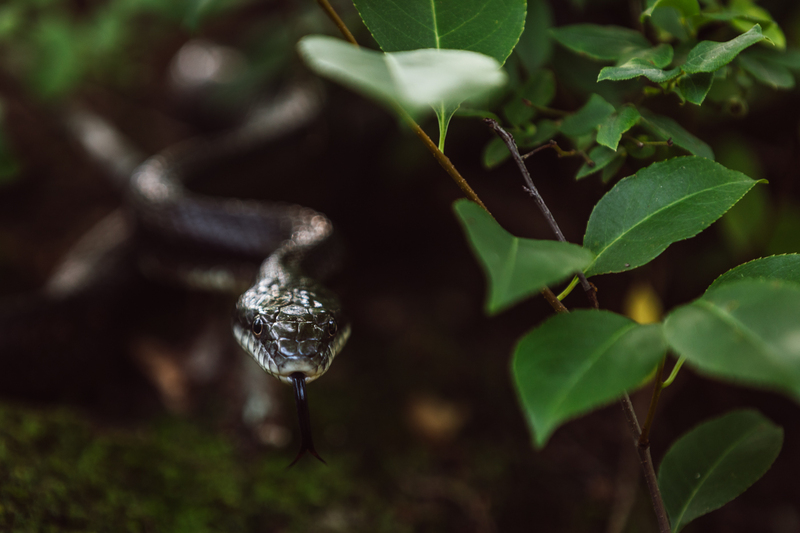 This is about as close as I wanted to get because I think if I were to get any closer the snake would have lunged forward towards me. I hope that you like the photo. This image is my entry in the #wednesdayphotochallenge by @photochallenge and the theme is plants/animals. This is a great challenge, so make sure to visit @photochallenge to participate in the daily contests.